Building strong relationships with his clients enables Mitch Feinberg to develop customized estate plans that address the key players, assets and family dynamics in every situation. 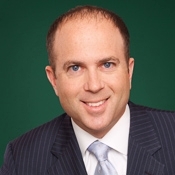 Mitchell Feinberg is a Principal at Chuhak & Tecson, focusing his practice in estate planning, probate, guardianship and trust administration and litigation. Mitch has extensive experience handling all aspects of complex probate and trust matters. With the insight garnered from his litigation and administration experience, as well as his sensitivity to the personal and often-emotional nature of the issues they face, Mitch is able to counsel his clients in the development of individualized estate plans, as well as represent them in probate, trust and guardianship matters, both administration and litigation. In his practice, Mitch assists clients with the challenges facing them in all stages of life, whether starting a family, planning for the future, dealing with a disability or probate and trust administration. He advises his clients on the handling of both routine and difficult tasks, from managing bills to mediating challenging family relationships. Mitch’s experience also includes the drafting of wills, trusts, powers of attorney, irrevocable life insurance trusts, family limited partnerships, charitable foundations and other estate planning documents. Mitch concentrates his practice in the administration of complex, and sometimes contentious, estate and trust issues, including will contests, trust contests, payable on death transfers, joint tenancy disputes, fiduciary lawsuits and estate tax issues. One of Mitch’s goals is to help his clients explore settlement options whenever possible, assisting them to focus their attention on the issues through reasoned analysis, rather than concentrating on the emotional dynamics of a contentious situation. reversal of a deed transferring a father's home to one of his many children at a time the father lacked the capacity to do so. Mitch has undertaken a number of leadership roles within Chuhak & Tecson, the Chicago Bar Association and the Chicago community. He has also been a member of the Probate Practice Committee of the Chicago Bar Association since 1999, serving as its chairman from 2004 to 2005, and has been a member of that committee’s rules and forms subcommittee since 2006.